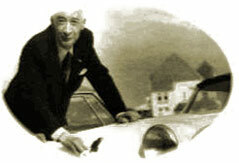 Late forties Maus (Gatso) Gatsonides speaks Dutch most famous rally driver, French Simca driver Marc Angelvin. Under the drinking glass of good wine brings Maus in the middle that in the Low Countries no mountains to rallies to drive. Angelvin seems to have that you can drive anywhere to go from the Netherlands and the Tulips a beautiful symbol might for a rally. Said then Anyway, the fact is that it was organized by the Regional Automobile Club West (RAC-WEST) a Rallye des Tulipes in 1949. The basis of the rally was so in France and hence the name Tulpenrallye. With 159 teams at the start, this event was an instant success and a rich tradition was born. Gatso was obviously involved in the organization but the main work was done by Lex van Strien, Jos van Calsteren, Jaques Lioni and “Mr. Tulpenrallye” Piet Nortier. The rally has seen many changes in recent years: as race party and many years as an internationally known speed rally stages. In 1992 the concept was transformed into an atmospheric historic race where cars may participate built before January 1, 1972. 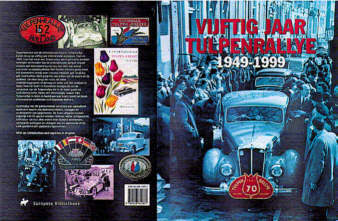 The history of the Tulpenrallye is recorded in a wonderful book entitled “Fifty years Tulpenrallye” ISBN no. 9-288-1287-3. Meanwhile a valued collector’s item!